Delhi Capitals suffered yet another defeat as Sunrisers Hyderabad beat them by 5 wickets. SRH now have topped the points table. 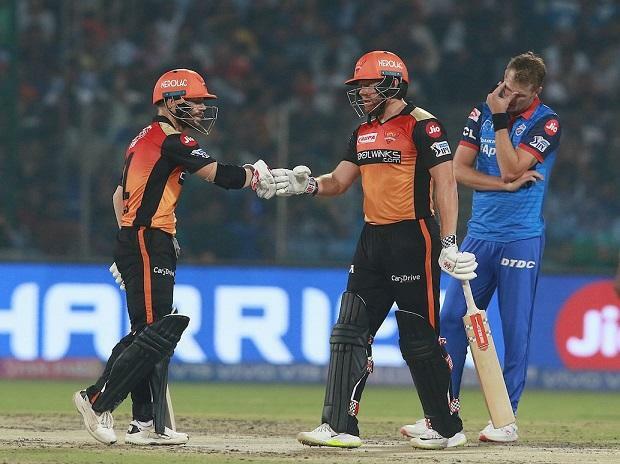 In Match 16 of VIVO Indian Premier League 2019 (IPL 2019), Sunrisers Hyderabad (SRH) beat Delhi Capitals (DC) by 5 wickets at Ferozshah Kotla ground in New Delhi on Thursday. Chasing a modest total of 130, SRH were off to a flying start, thanks to Jonny Bairstow. However, wickets did fall but it was a little too late for the home team. With this win, SRH have climbed to the top of the VIVO IPL points table.